Resolver, a global company offering corporate risk and incident management software was looking to improve its sales. 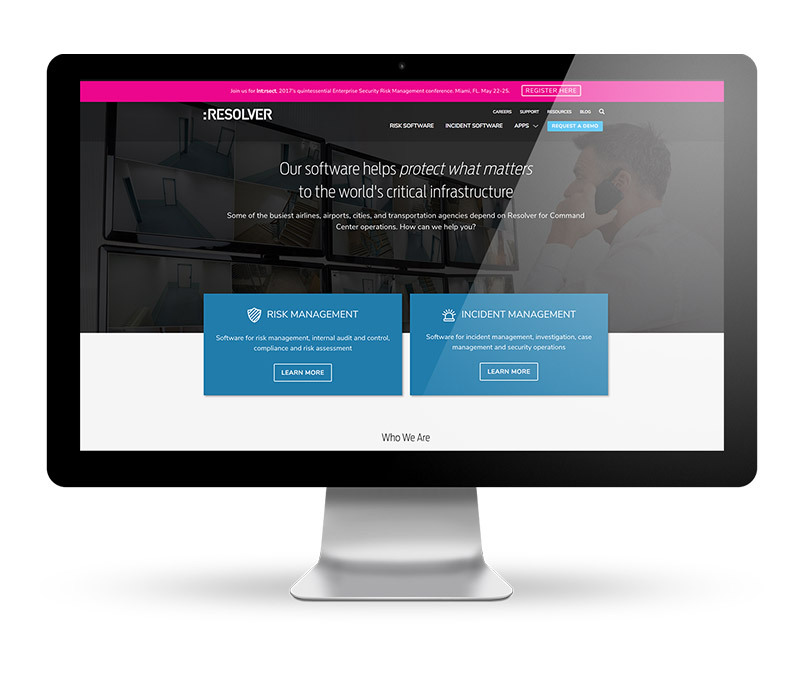 As a global brand trusted by organizations like Microsoft and 21st Century Fox, Resolver realized it had an opportunity to generate more business from companies not yet familiar with Resolver’s software offering. Resolver’s mission is to transform how companies think about Risk. Their cloud-based software provides the risk backbone for some of the largest organizations in the world. Their clients include Adidas, Microsoft, Delta Airlines, and the Ontario Government. Engage more visitors to take action on the Resolver website. Convert more leads from both Google search and Google ads into customers. Rank higher on Google search engine results pages (SERPs) for strategic keywords. Improve user experience on the website to make it more useful for visitors. Pedestal began with a full digital website audit, including a paid and organic opportunity assessment, to determine how the website could improve user experience and grow relevant traffic. This audit informed a comprehensive search and digital strategy which drastically increased the number of leads Resolver acquired online. Pedestal’s customized digital plan for Resolver combined Search Engine Optimization (SEO), Conversion Rate Optimization, Content Marketing, Pay Per Click (PPC) Advertising, and Social Media Marketing (SMM). Dramatic increase in leads generated from previous year. 50% increase in conversion rate. 80% increase in web traffic. Rank on the first page for new keywords. Improve user experience thanks to a new mobile-friendly website.